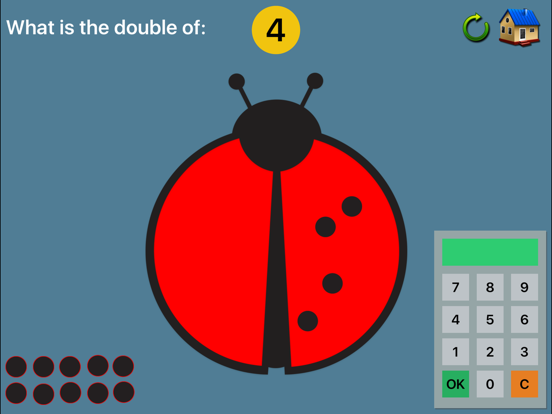 Ladybird Maths uses the symmetrical image of a lady bird and her spots to teach and build mental mathematics number facts of doubling and halving. The importance of recalling doubling and halving facts relates to the speed, accuracy and ease these number facts bring to addition, subtraction, multiplication and division problems. 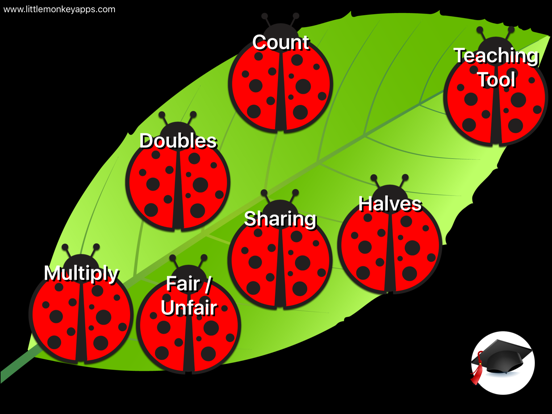 Ladybird Maths Teaching Module can be used anyway you wish. An important concept before using the App is to discuss symmetry in nature. A ladybird has symmetrical spots, therefore spots must be placed on each of the ladybird's wings equally. 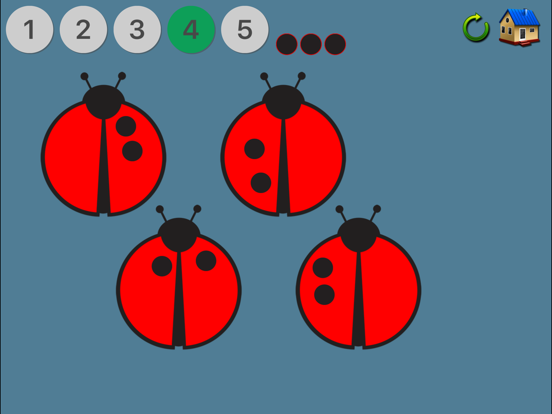 - Put one dot on each of the ladybirds wings, how many altogether? - Put ten spots on the ladybird. Is there a way to write an equation showing what you have just done e.g. 5 +5. 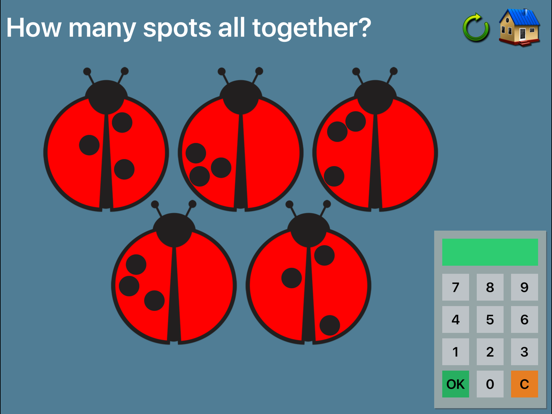 - If a child puts 3 spots, 7 spots, discuss why this is "unfair" sharing. 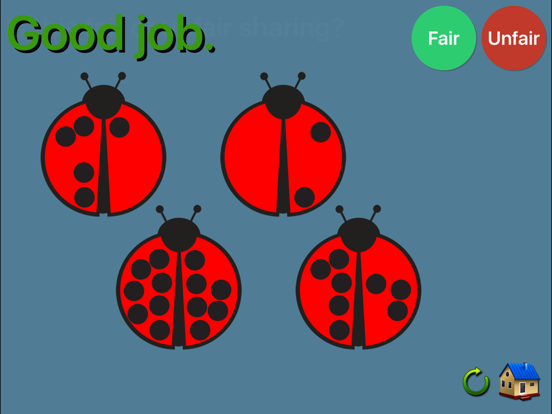 Discuss what fair sharing might look like. - Can you make a list of the doubles?